It's been a busy year for our wee print group "Waitakere Printers Ink". 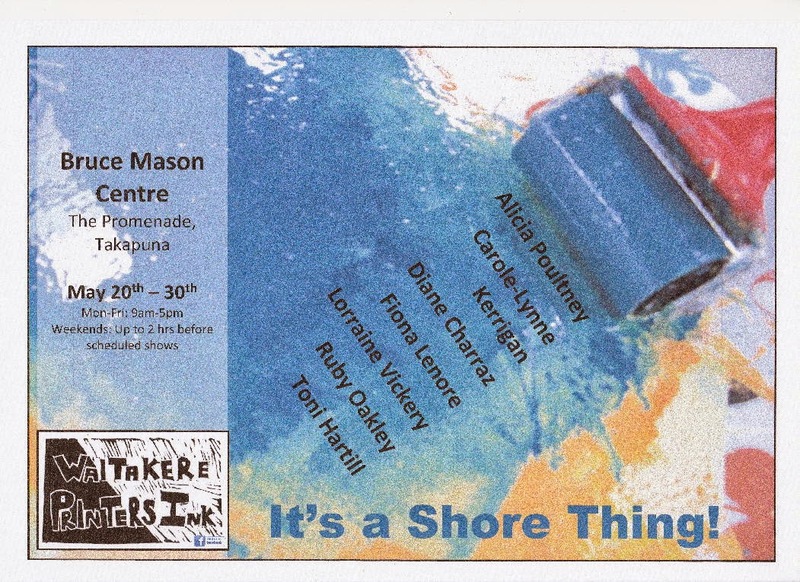 We've had two shows at the Bruce Mason Centre in Takapuna, one in May and one in September. 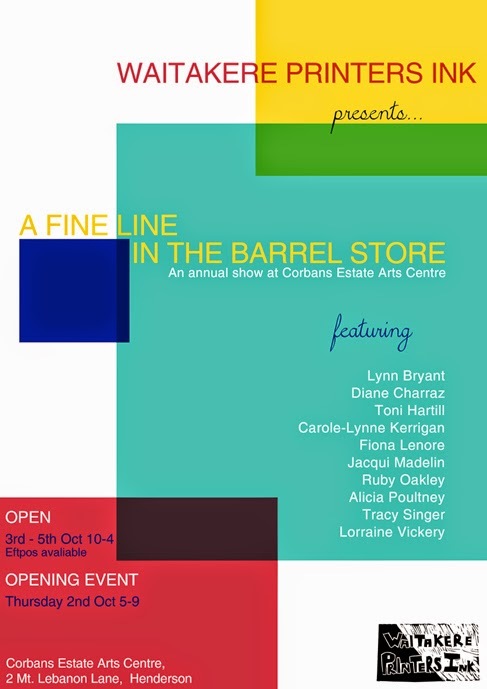 Our annual show at the Barrel store at Corban Estate Arts Centre was held 3-5th October. 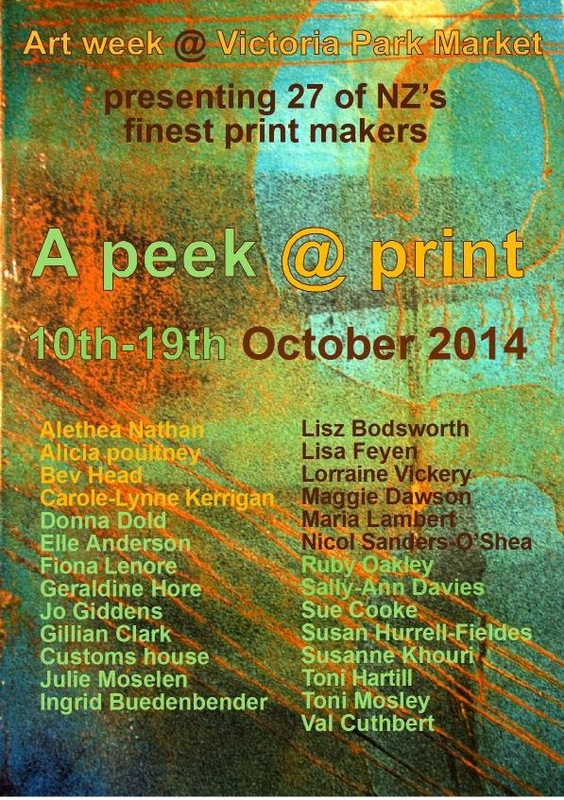 A number of us have work in the current show A Peek at Print at the Victoria Park Market for Auckland's Art week. This was organized and curated by Ruby Oakley. 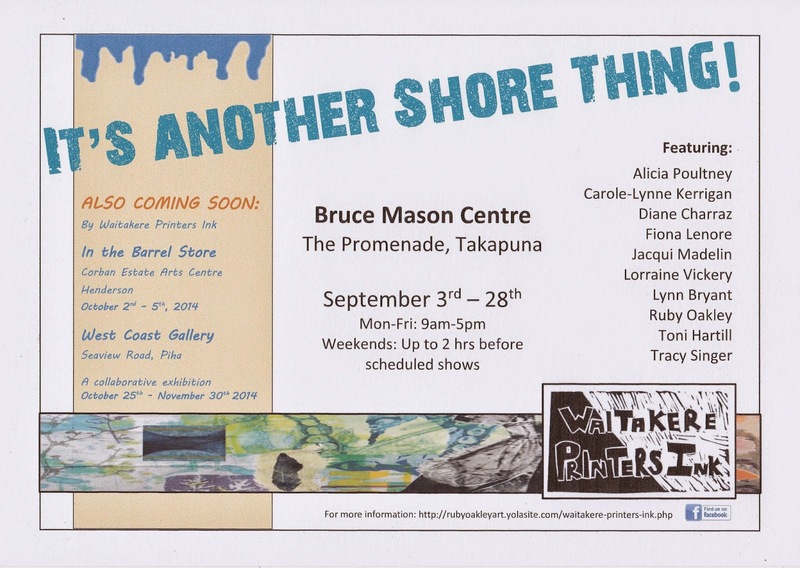 and we are about to hang our latest show at the West Coast Gallery at Piha. 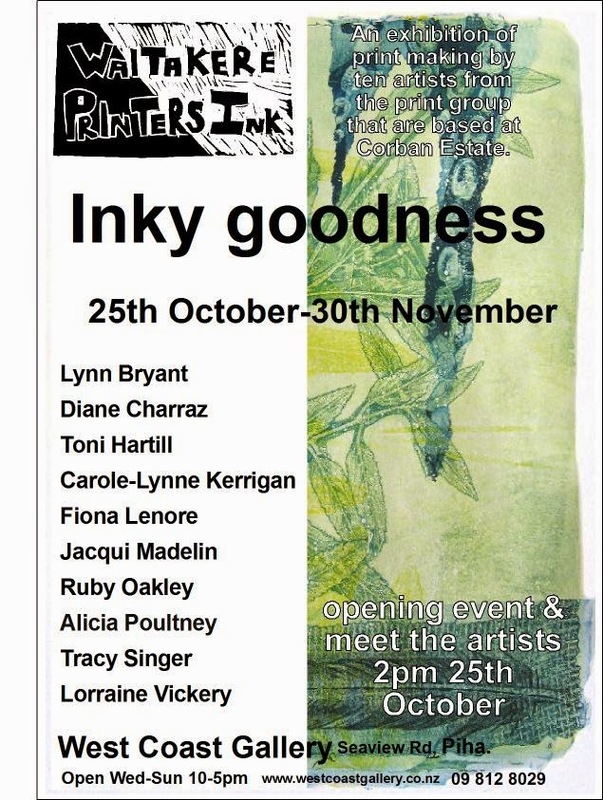 Opens on Saturday October 25th at 2pm.